Dog Allergies ... Or Is It Something In The Water? 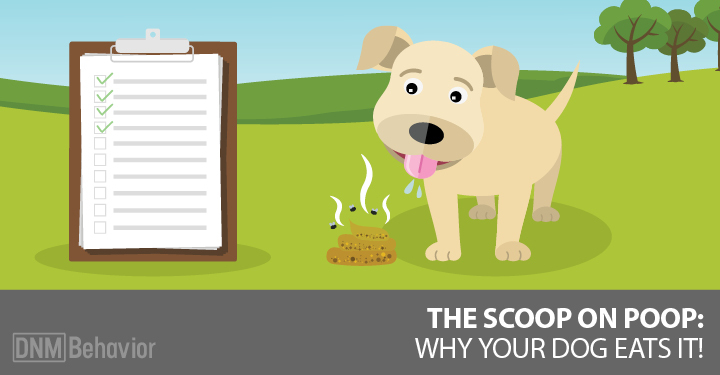 Home > Blog > Health Conditions > Dog Allergies…Or Is It Something In The Water? Years ago when I first started in the pet industry, dogs were becoming allergic to beef, the main protein source in most commercial foods so the manufacturers started making lamb diets. Then the dogs were all becoming allergic to lamb and everyone switched to chicken … and now I’m hearing from people that their dogs are all supposedly allergic to chicken! Are we breeding weak animals with allergies to everything or what? There’s a growing list of foods to which our pets are said to be allergic; these are mainly proteins, but more and more foods are being added including corn, soy, wheat, dairy, oat, quinoa, turkey, rice, fish, egg, peanuts and potato. Why are so many natural foods on this list? Why would a dog, a natural omnivore built to eat lots of meat, develop an allergy to turkey or duck, foods that one would think would be deeply embedded in its DNA to catch and eat? Although the word is commonly used to describe any unpleasant reaction to a drug, food or chemical, the word allergy can be misleading. Allergy really only means a reproducible reaction that involves the immune system production of immunoglobulin E (IgE) antibodies from mast cells or basophils as a result of exposure to an allergen. These allergens can be something we‘ve swallowed, inhaled, touched or something injected via a needle or an insect sting. Food allergies develop after exposure to a food, usually a protein, that the body thinks is harmful. After the first exposure, the immune system responds by creating specific proteins that circulate in the bloodstream to help remove substances or organisms, such as bacteria or viruses, that have invaded the body. These are called antibodies, and the IgE antibody is one of five different classes of antibody made by the immune system. The IgE response triggers allergic reactions typically wheezing, skin eruptions, itching, swelling or a drop in blood pressure. Once the mast cells and/or basophils have released their chemicals, the allergic reaction occurs quickly. So you’re seeing an immediate allergic reaction when your dog gets stung by a bee and swells right up at the injection site. However, some animals also experience a late phase reaction. The tissues in which mast cells have released their chemicals may become hot, tender, red and swollen for several hours – this is inflammation. True food allergies are estimated to affect less than two percent of adults, four to eight percent of young children and infants, and far fewer than ten percent of dogs. While the symptoms are similar to allergy, food intolerance occurs when an ingredient or compound in a food irritates a dog’s digestive system or when a dog is unable to properly digest a certain food. An IgE response is not necessarily triggered, but inflammation is, and the key problem is not allergies at all but inflammation itself. Food intolerances are often delayed in their response and are therefore difficult to diagnose. The trigger may be any substance that naturally occurs in foods, or arises in food processing methods, or is added during processing. Many seemingly random symptoms can be signs of either a food allergy or intolerance in a dog; they are not always digestive symptoms. These include; chronic ear inflammation, itching, paw biting, poor coat quality, obsessive licking, scooting, and hot spots. Other so-called food allergy symptoms in animals are similar to what we see in humans, such as vomiting and diarrhea. In addition to the possibility of food intolerance, we have food sensitivities which are described as abnormal reactions to food or food components that don’t involve the immune system, but involve the body as a whole. Food sensitivities are also much more common than allergies. Sometimes the words sensitive and intolerant are used interchangeably. 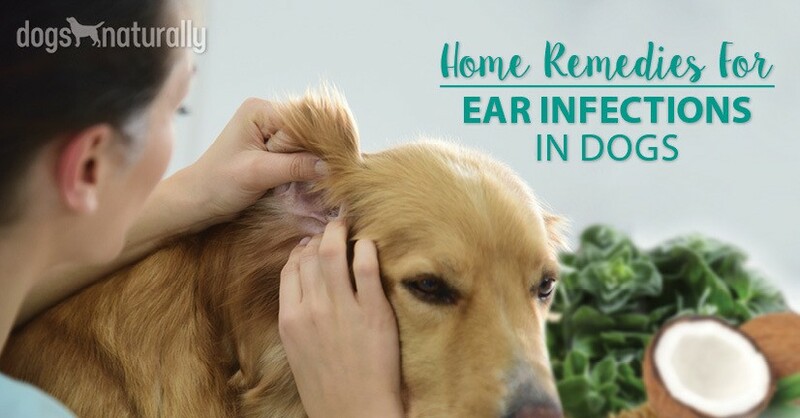 With a food sensitivity, a dog might be able to consume a food occasionally without feeling any ill effects, but will sporadically develop symptoms such as yeasty ears or diarrhea. Once the inflammatory response has been triggered in a sensitized animal, the ongoing inflammation cycle can mask positive or negative changes in the diet or environment if they’re not maintained long enough, so it’s often hard to tell what’s really affecting the animal. Each of the steps in making your dog’s food available requires some form of processing, which carries a risk of introducing a foreign substance that the body detects as an invader. 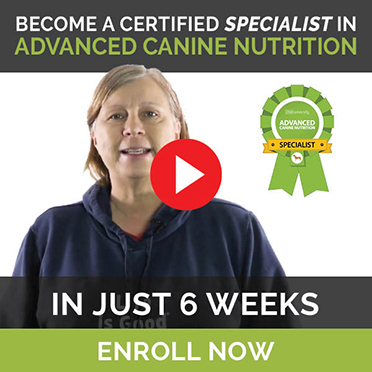 Could it be that your dog is sensitized to something about the protein that is causing the reaction, rather than the protein itself? Anything the body perceives as xenobiotic (meaning foreign), it will try to expel. The small intestine is the epicenter of damage when things such as extruded meat or vegetable meals, isolates and other synthetic substances such as vitamin premix are a regular part of the dog’s diet. It is lined with microscopic cells called villi which look like thousands of waving tentacles on a sea anemone. When the body is bombarded by substances it considers foreign, the result is constant inflammation. The villi become flattened and unable to function properly. The cells lining the villi are, quite literally, only one cell thick and sit next to the one-cell-thick capillary blood vessels. This is designed so that the body can absorb the nutrients from food directly from the villi into the blood stream. The spaces between these cells are called tight junctions and once they become inflamed and flattened, they’ll begin to spread apart – much like the bricks in an old wall do over time. When this happens, larger food or chemical molecules can begin to leak through these tight junctions directly into the bloodstream leading to leaky gut syndrome (also called increased intestinal permeability), which can cause food allergy, sensitivity or intolerance as well as autoimmune diseases and other unexplained health problems. So that’s how we end up with a dog who perhaps most of its life has had a tender tummy – the one for whom you have to keep switching foods and finding novel proteins. The one whose coat is always a bit scruffy, the one with frequent bad breath and farts that clear the room. Or maybe he has no digestive difficulty at all, but he’s always scratching like mad or licking his paws or his behavior is difficult to manage; these could all be signs of the effects of chronic inflammation rather than an allergy. Frequent infections that seem completely unrelated to the digestive tract are common in animals with chronic inflammation. As this inflammation progresses and cells continue to be damaged, this leads to a breakdown of immunocytes, an amazingly important part of the first line of immunity in the body. A lack of immunocytes can lead to problems with the kidneys, the thyroid, the pancreas and liver, problems that have become disturbingly high in North American pets. Why? Because 70 percent of the body’s immune system resides in the lining of the small intestine! This includes secretory immunoglobulin A (SIgA), one of the most important antibodies for killing pathogens that come into contact with mucosal tissue. Since mucosal areas of the body are actually in direct contact with the outside world (think about it), it’s important that these areas stay well protected. But if the tissues in the small intestine that produce SIgA are destroyed, then pathogens are not kept in check (and those pathogenic bacteria are communicating in anticipation as we speak). This results in frequent infections to these organs, leading to chronic inflammation, and chronic inflammation looks an awful lot like an allergic reaction, remember? There are likely many autoimmune diseases including allergies that are actually symptoms of immune system erosion. When the body encounters xenobiotic substances continually, it becomes chronically inflamed and unable to support healing and renewal. This leads to a chronic inability to rebound, followed by possible changes to DNA and an erosion of functional ability. One of the major clues of intestinal damage is poor absorption indicated by nutrient deficiency. Magnesium deficiency is often the cause of peripheral neuropathy for example, and mental changes are due to B12 deficiency. So to prevent this cascade of events that has resulted in so many diagnoses of allergy and food intolerance, we need to be aware that the appropriateness and natural state of what our dog eats are much more important from day one than nailing down any specific novel protein source. We’ve been feeding our dogs cheap commercial diets for generations now, so it’s no surprise that some are born with weak digestion and poor immunity. We’ve bombarded their small intestines with non-food, chemically-laden diets long enough to have affected the DNA of many breeds. To heal the gut, get rid of the chemicals. If you can’t pronounce it, don’t feed it, not in a supplement, not in a treat, not in a diet. If your commercial food needs to rely on vitamin premix to boost the nutrition on the label, there’s not enough nutrition in the ingredients of the food. Don’t feed any meat meals, vegetable meals or substances processed into meal. I put it to you that you can feed all the novel proteins you can find, one after the other, but if the food is extruded or contains ingredients processed into meal, it’s been steamed at extremely high temperatures; it may also have been broken down by acid. This is the type of processing that can create inflammation. Your dog will find it easier to take that novel protein only for a while, then you’ll be moving on again, to another. Dogs, like people, need to get their nutrients from actual food, not inedible industrial foodstuffs such as soy protein isolate or clay. Fresh meat is ideal, but if you can’t or won’t feed raw for whatever reason, buy a product with only human-grade (also called table-grade) meats and whole foods. Understanding pathogenic bacterial behavior is important as we attempt to understand why our dogs’ health is unraveling. Bacteria will collect, mainly in the gut, and wait for critical mass before they coordinate as a community to attack. Remember the point about intestinal permeability? That’s exactly what the bacteria wait for! This underscores the huge importance of good gut health and the use of probiotics, found naturally in foods like kefir or fermented vegetables. Probiotics are the good bacteria that can kick out the bad ones in this constant battle. Another great way to treat dog allergies is through colostrum. Click here to learn more! Simply choosing a new novel protein does you no good, since for all you know your dog is actually not allergic to chicken but is sensitized to it from years of leaky gut. Heal the gut, find what works for your lifestyle and feed the best quality you can afford. Don’t give up too quickly. Chronic inflammation is like a spinning roulette wheel – it doesn’t stop right away – so give your dog’s immune system time to repair itself. Full recovery of the other organ systems will take time as well. Your dog will go through a healing crisis or two before she becomes a happy, healthy animal again, so be patient. It’s worth it. Your dog’s allergy symptoms could be coming from the inside. Leaky gut is very common. Click here for 3 simple steps to help you discover the cause of your dog’s allergies and finally get him healthy again.